New Delhi [India], Apr 9 (ANI): The Supreme Court on Tuesday directed Assam’s Chief Secretary Alok Kumar to file an affidavit suggesting measures it intends to take for the release of those kept in detention centres in Assam. A bench headed by Chief Justice of India (CJI) Ranjan Gogoi comprising of Justices Deepak Gupta and Sanjiv Khanna said that the foreigners cannot be detained for an “indefinite period” in the detention centres and directed the Assam government to inform the court about the methods authorities to consider releasing them. “These 900 odd people, how long will be the imprisonment? What we are suggesting release them on sureties... Please tell us, out of these 900 how many are you releasing?” the Bench told Assam Chief Secretary who was present in the court pursuant to the court’s earlier direction. 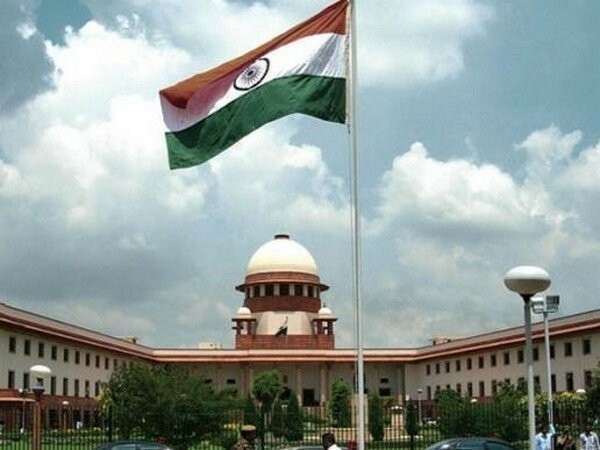 CJI was hearing a Public Interest Litigation (PIL) filed by an activist Harsh Mander, seeking directions for humane treatment to immigrants lodged in the detention centres in the state. The plea also underlined that the immigrants must be treated as refugees. On February 19, Advocate Prashant Bhushan, appearing for petitioner Mander told the bench that detention of foreigners has gone up to 8-9 years and many persons have completed their detention but still lodged in the detention centre. On April 1, the apex court had expressed displeasure over the absence of Assam Chief Secretary during the hearing. It had also asked the state government if “a Non-Bailable Warrant” (NBW) should be issued against him. The court had also observed that the state is dragging its feet in pursuing identification of migrants. During an earlier hearing, the top court had pulled up at the Centre and Assam government over the deportation of illegal migrants from the state. “It has become a joke and you haven’t done anything,” the bench had said. Dehradun (Uttrakhand) [India], Apr 21 (ANI): The police on Sunday seized the car of IG Garhwal which was allegedly used for robbing Rs 1 crore from a businessman in Dehradun. New Delhi [India], Apr 21 (ANI): India on Sunday strongly condemned the coordinated blasts that took place across various churches and hotels in Sri Lanka, killing at least 200 people, including foreigners. New Delhi (India), Apr 21 (ANI): The Aam Aadmi Party (AAP) on Sunday blamed the Congress for unsuccessful alliance talks between the two parties, saying they tried hard but the Congress 'backtracked'. Bengaluru (Karnataka) [India], Apr 21 (ANI): The infamous Bellandur Lake in Bengaluru on Sunday was frothing with toxic foam yet again. New Delhi [India], Apr 21 (ANI): Lt General (Retd) DS Hooda on Sunday condemned the remarks of BJP leader Pragya Singh Thakur on late former Mumbai ATS chief late Hemant Karkare. Patan (Gujarat) [India], Apr 21 (ANI): Prime Minister Narendra Modi on Sunday said that he had warned Pakistan of consequences if Wing Commander Abhinandan Varthaman was not returned to India safe and sound. Raipur (Chhattisgarh) [India], Apr 21 (ANI): Chief Minister Bhupesh Baghel on Sunday said BJP Lok Sabha candidate from Bhopal Pragya Singh Thakur was a 'habitual criminal' involved in incidents of stabbing in the state. New Delhi [India], April 21 (ANI): Bahujan Samaj Party (BSP) on Sunday accused Prime Minister Narendra Modi of breaching the trust of the people of Uttar Pradesh, asserting that people of the state will remove him from the post of Prime Minister after the ongoing Lok Sabha elections. Srinagar (Jammu and Kashmir) [India], Apr 21 (ANI): As 2019 marks 20 years of Kargil war, the Indian Army on Saturday held 'beating the retreat' ceremony at the Hall of Fame in Leh as a mark of respect to those who lost their lives in the war.